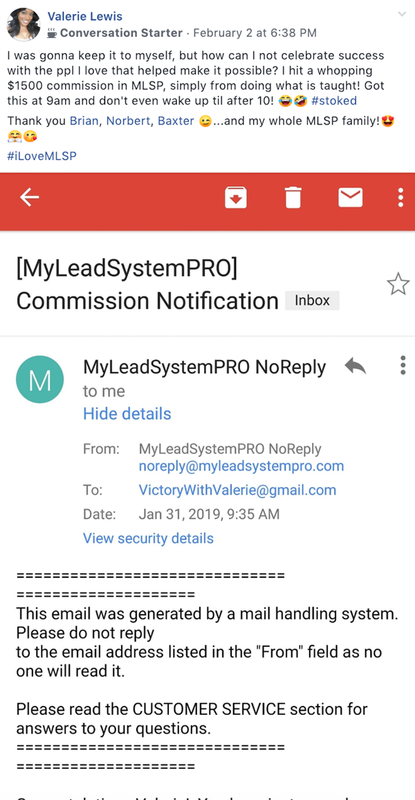 Valerie Lewis woke up to a big ole commission from MLSP this week. $1500 in one shot! Not bad before 9am in the morning! This is possible for YOU with the MLSP affiliate program as well! MLSP L5 Leader Keysha Bass had no prior marketing experience when she got started here at MLSP. 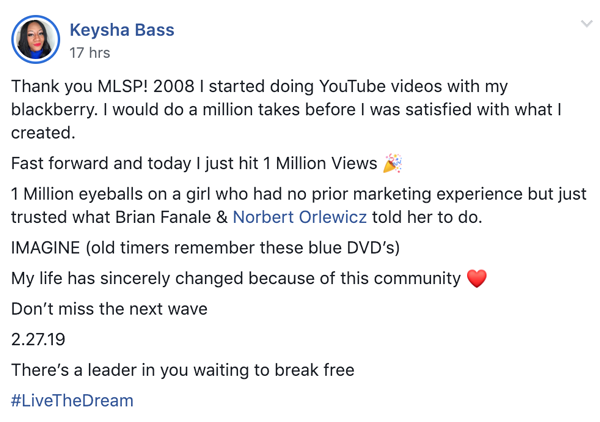 And now she just hit 1 million views because of her YouTube marketing! Keysha now helps tons of brand new members get started off on the right foot every single Monday evening on her Monday New Member Orientation. She's changing lives every single day! So proud of this amazing leader! So back in May of 2018, Bennet Watson had a strategy session with MLSP Coach Steve Krivda. Looks like Bennet has been a man of his word so far, and no reason not to believe him now! That's what having a great coach like Steve will do for ya! And that's what being an action taker will get you! Boom! 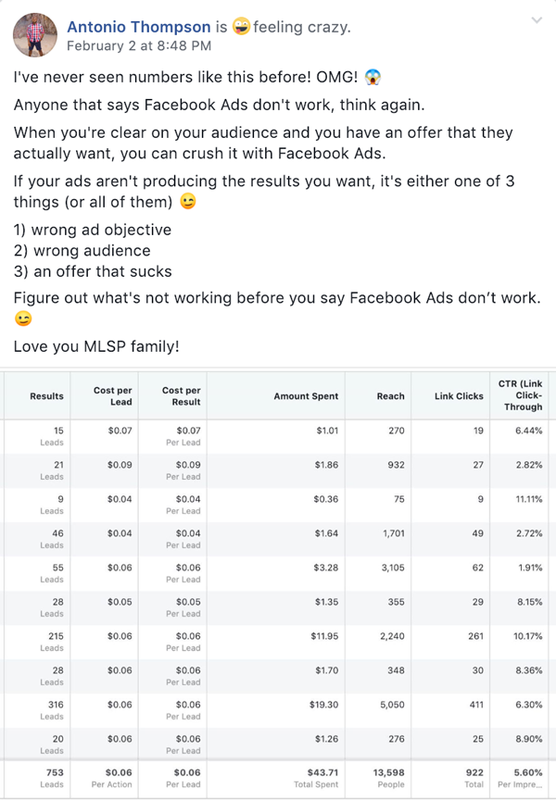 MLSP superstar and FB Ads superstar Antonio Thompson is smashing it out of the park with Facebook Ads once again. He had some killer advice for the rest of the community inside the MLSP Private Facebook group this week! You can see the rest of the advice he gave on his screenshot below, and put it into immediate use! Great work as always Antonio! Boom! 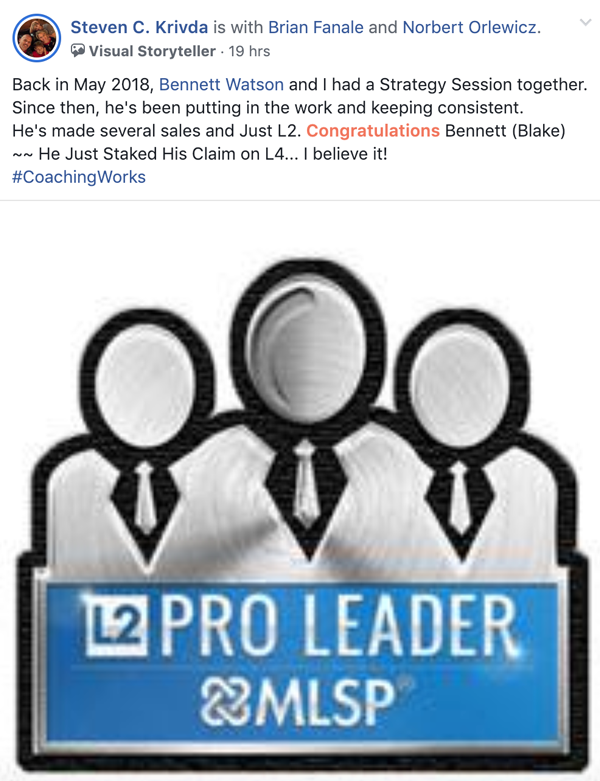 If you've been paying attention to the MLSP Success Stories then you've seen that Ian Tolson has been killin' it with his business. He gave his own shoutout to MLSP CEO Brian Fanale this week for his copywriting course and his meditations inside the MLSP back-office. We love watching this guy's continuous progress week after week! Timothy John Neyers found out what a lot of new MLSP members quickly find out as well. 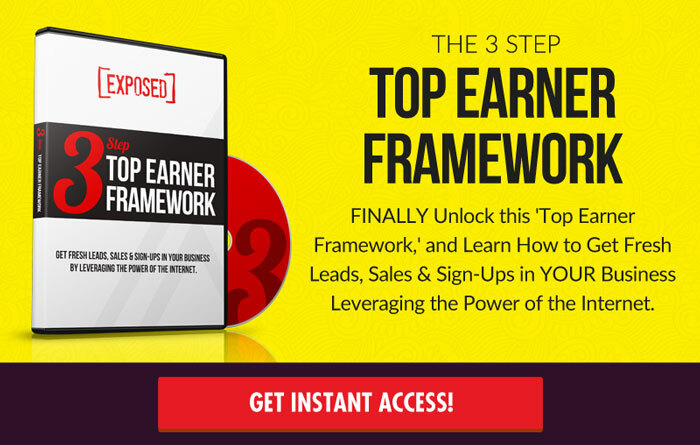 That when you just follow the simple steps laid out, you can start getting leads through attraction marketing very quickly! It's only the beginning for KJ Reynolds, and already things are shaking into place! That's the way to take action! Great work! 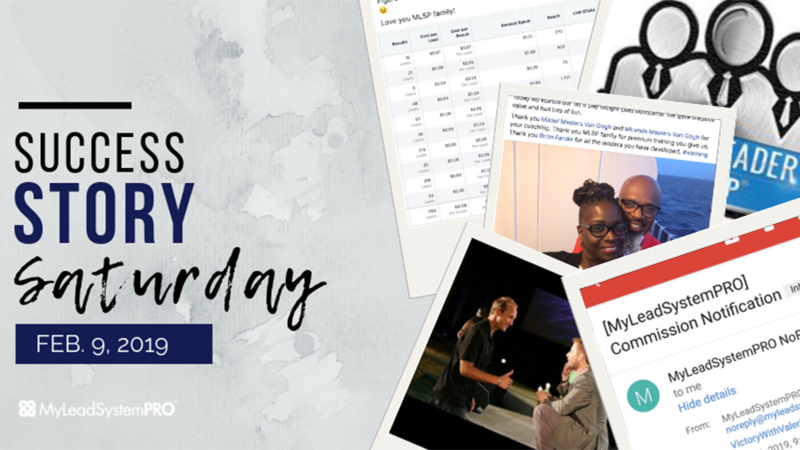 See the Actual Screenshots from All the Amazing Success Stories Inside the Private MLSP Community Just This Week!